This will be my 3rd year of going to Elevate Blog Conference. I am so very excited about this Saturday. I get a full day of all-blogging-all-the-time. I will hear amazing stories from well-loved bloggers that will inspire my writing. I will watch as a fellowship of women happens before my very eyes. Friendships will form. Tears will be shed. Laughter will be heard. It's the event of the year for me. As soon as the announcement for ticket sales happens in January, I am on pins and needles if I'll be lucky enough to get a ticket. When that date in early February happens, I purchase that glorious ticket and exhale. Yes! I get to see my friends again. Yes! I get to meet new girlfriends. Yes! Let the countdown begin. 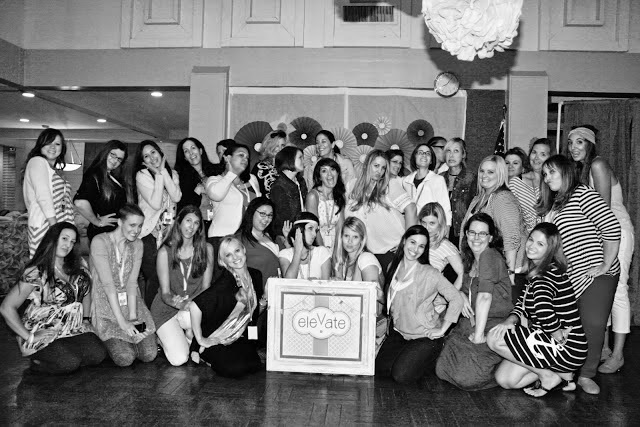 If you have a chance to go to a small and intimate blog conference like Elevate - do it! If you can go to Elevate next year - do it! You will not be disappointed. Pinky swear! So, to get back to the point - since I'm definitely losing my train of thought again - after this weekend, I hope you see through my writing what Elevate does for me. What the chance to meet with fellow like-minded women does for me. What having a sisterhood through a blog conference does to each word I write here. Take a look at my little recaps of Elevate in the last few years. 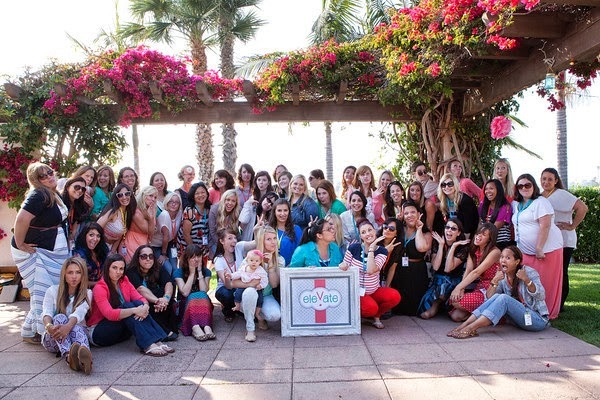 I was fairly new at the whole blogging thing in 2012, but in 2013 my heart was so full! I love looking at how my writing has improved. So, in advance, thanks to Munchie's Mama and Delightful Deets for continuing to get this blogger out of her writing slump year after year! Will you be going to Elevate this year? Are you planning on any blog conferences or meet-ups in the future? Looks like so much fun!! Writing slumps are always a bummer. Let's do this! Counting down the days till I see you! I've always wanted to go! Sounds like a good time. When it comes up next year you will have to give us the deets so that we can go! Love it! Always in favor of women rallying around and supporting one another! I've never been to one but they look like fun!! I've always wanted to go to a blogging conference, but the big ones always sacred me. This one looks interesting! Have a Coffee Date with Me? When the kids are sick...laugh.